The premiere online store for all of your firearm, camping, and hunting needs houses the best selection of survival gear available at a price point that won’t break the bank. 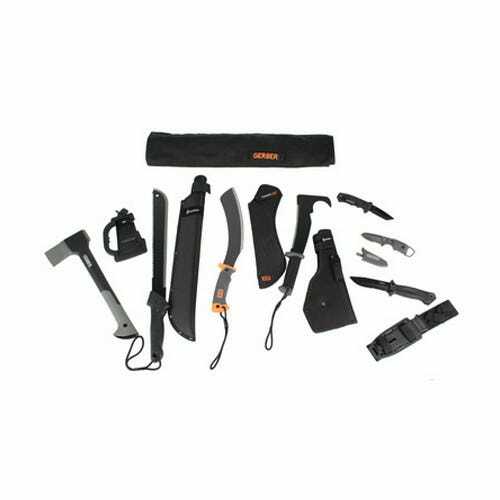 At GrabAGun, your basic needs to survive in the wilderness can be satisfied through our vast inventory of the most useful and necessary survival equipment online. Be ready for your next battle with the elements by stocking your personal survival gear from GrabAGun. One of the most difficult aspects of survival is being prepared for the unexpected. Our inventory of survival equipment strives to supply everything you may not think of on your own before venturing out in the wilderness—those things you only think of when you need them. From popular items like the Coghlangs Preparedness Kit and Survival Guide Kit to Light My Fire Tinder and Tinder Sticks, we try to help you get ready for the great outdoors. In addition to surviving nature, GrabAGun understands that urban survival is every bit as important as country survival. Never be without your phone charger when you purchase the Lewis N. Clark Emergency Phone Chargers; the easy solution to that pesky problem of cell phone batter death. For more serious situations, a complete selection of Mace products are also ready to keep assailants at bay and you and those around you safe. If you are faced with imminent threat, have your UST-Jetscream whistle ready to call for help and alert others to your position. Become an expert at urban survival or tackle the wilderness with the wide variety on our site. No one can ever be fully aware of the dangers they will encounter in their day of camping, hunting, or just living. Let GrabAGun think of the problems that may arise in your adventures and supply you with some of the best survival gear around.